After doing some traveling and tending to an illness in the family, Pastor Gabe is back in the pulpit this weekend as we resume our study through the book of Romans. His sermon this week will be entitled "The Spirit of Life" out of Romans 8:1-4. We look forward to seeing you in church this Sunday! Don't forget that in two weeks (November 8), we will have our next members' meeting and potluck. Due to a technical error, we do not have the sermon available from today. However, Pastor Gabe will do a recording from his sermon notes and it should be up on the sermon player Monday. We're pleased to welcome back Jack Hager who will be coming to share with us this Sunday! Jack came to Christ at the age of 26 while incarcerated, and spent his first years as a new Christian in prison. 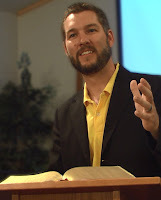 He later attended Bible school in Kansas City, served with Youth for Christ for several years, Family Life Ministries in New York for 20 years, and currently serves with Midland Ministries. Jack is a passionate speaker, and even more passionate about Christ and his word. He speaks plainly and clearly, and though often direct, his sermons are given in love. Come and worship with our congregation and Jack Hager this Sunday! 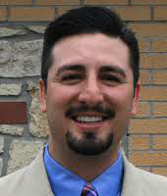 Our message this Sunday will be brought to us by Chris Solano, one of our elders at FSBC. Chris is going to be preaching on Romans 8:1, which says, "There is therefore now no condemnation for those who are in Christ Jesus." He'll also be providing an overview for all of chapter, which we'll begin our study of on the 25th. 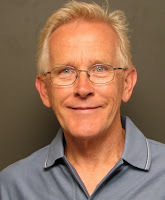 Next week, our guest speaker will be Jack Hager from Midland Ministries. For more information about the sermon series we're in now or other events on our calendar, please click on the "calendar" link above. Come and worship with our congregation this Sunday! 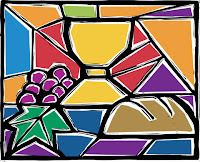 This morning, we will come to the Lord's table to partake in communion. Please prepare your hearts so not to eat of the bread or drink of the cup in an unworthy manner (1 Corinthians 11:28). Let's all gather at the Lord's table in unity, as one body. Pastor Gabe will be responding to questions from Romans 4-7. We had taken questions from the congregation over what we've covered in the past few weeks and will answer those questions in today's sermon. Men's fellowship breakfast begins at 9:00 in the fellowship hall downstairs (park around back and come through the double doors). The breakfast is free! Our devotional will be led by elder Chris Solano. Bacon, waffles, eggs, coffee, and grits are on the menu. Did we mention it's free? We hope to see you there!